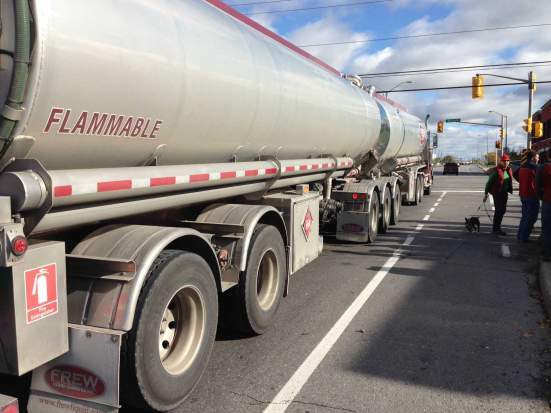 On the Bells Corners Trips for Kids site there’s a touching tribute to the Westcliffe resident who was run over by a truck. This is where it happened. Suburban intersections (especially when the bike lane ends suddenly like this example near Bells Corners), Queensway overpasses and the BC strip are the weak links in the cycling network. Too bad we didn’t do this when we had the chance. Come for a one-minute ride on the strip, followed a spin in Montreal. Contrast and compare. In Montreal the slow traffic speeds and designated areas for cyclists make for a tranquil ride. 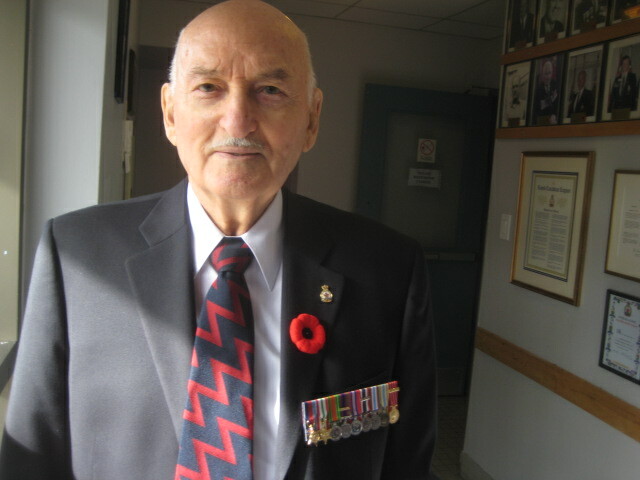 Say hi to this decorated vet if you see him at the Bells Corners Legion today. Lest we forget – hope all attend or watch the Remembrance Day Ceremony in some way. I always end up in tears. 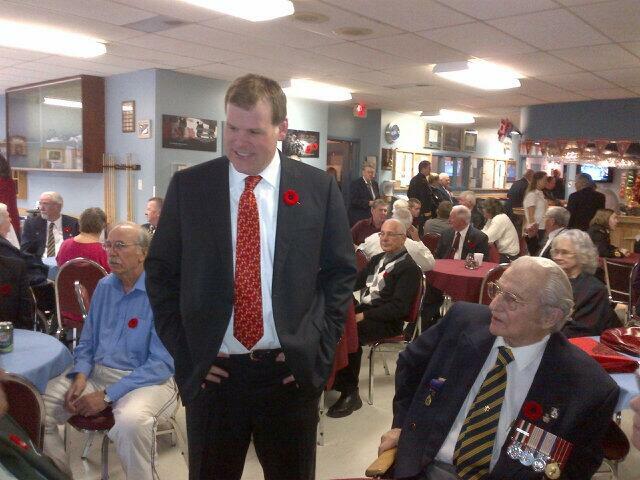 Rusty himself was spotted schmoozing at the Bells Corners Legion. Unlike his Conservative buddy Rob Ford in Toronto (or Rick at Stillwater Creek) he wasn’t booed today, even if many vets are very upset with Harper and the obsession with politicizing Remembrance Day and Canadian military history. 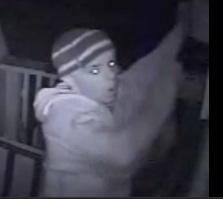 Apart from the excitement of having the Harper Government stalwart back in the Corners, it was a fairly quiet Remmebrance Day, especially compared to last year when a thief chose Nov. 11 for this despicable crime. He sounds like a truly remarkable person. The saying, ‘only the good die young’, seems to be appropriate here. So sad. 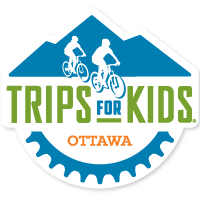 Trips For Kids Ottawa is a registered Charity. Cat founded the Ottawa chapter and has been growing it over the last 10 years. Our volunteers have their First Aid and CPR and Police Record Checks. 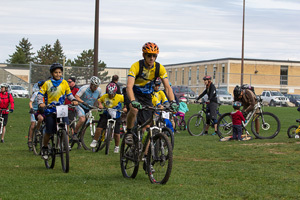 We have two Bells Corners locations that we run our after school rides from. Tuesdays we are at Bell High School from 3:15pm-5:30pm. Wednesdays we are at Franco-Ouest from 3:30pm-5:30pm. Our mandate is to provide after school bike rides for youth that would not otherwise have the opportunity to participate in this sport. We are a charity so our main focus is to provide the program to low income families, at risk youth and new to Canada youth. 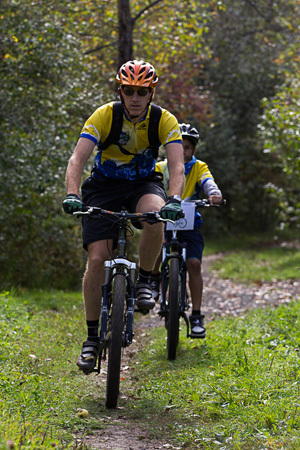 We provide the bikes, helmets, snacks and leadership for a 1 hour Greenbelt ride once a week. Youth not fitting our mandate are welcome to participate for a small fee and attend with their own bikes. Youth from low income families are fee of charge. Programs start the week of September 11th. You can attend another school and come to these ride locations to join the rides. These rides are appropriate for ages 10 and up who are comfortable on there bikes. Please contact Cat Weaver on Facebook or on http://tripsforkidsottawa.ca for registration forms or if you have any questions.